I’m enjoying reading through David Bentley Hart’s popular level work The Story of the Christianity (Quercus, 2009). It has short chapters, clear overviews, and is filled with interest-grabbing anecdotes. In the chapter titled “Age of the Fathers” (95-101), Hart provides a succinct overview of the key leaders in the immediate post-apostolic age. 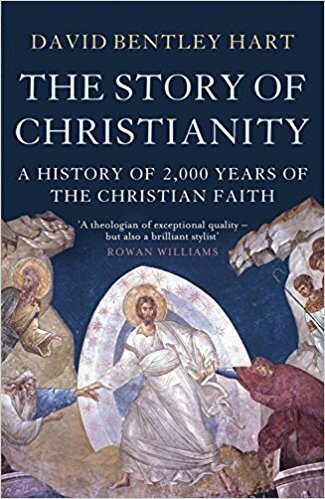 Hart calls this “the golden age of Christian thought” which was “frequently marked by a kind of speculative audacity, that the theologians of later years, under the restrictions of more precisely defined dogmas, found all but impossible” (95). Note: Hart says, “Western Christianity is Augustinian Christianity.” As an Orthodox theologian, however, Hart unsurprisingly believes that Augustine misunderstood Paul. The last father in the East, John of Damascus (c. 675-749). The Vision (3.9.18): When is a church a church?